The 200 page hardcover book features over 800 pictures that document the tradition and legend of football at Western. 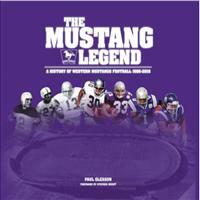 The book is divided into 10 chapters, each highlighting a unique era of Mustang football. Gleason, who has become the foremost expert of the Mustangs' football program over his years of dedication to the program, has completed the work after nearly a decade of research from the various London and Western archives.